Having spent the last year testing a new look, YouTube has now announced that anyone can now opt-in to try the revamped site, which is cleaner, simpler, and more in line with the YouTube app on mobile devices. 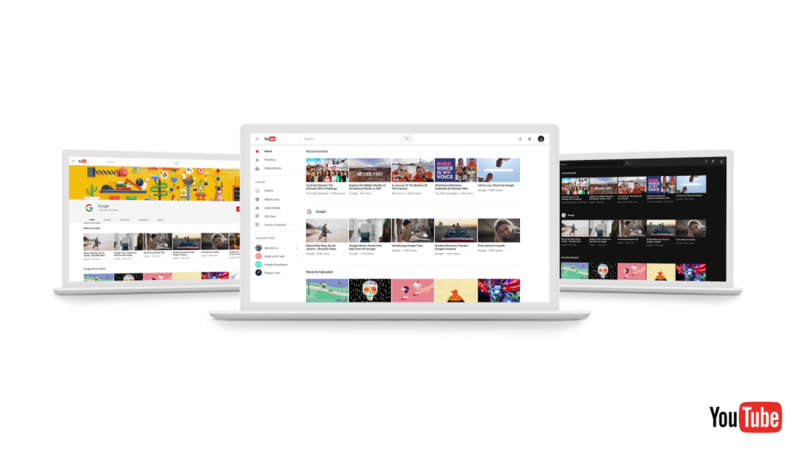 Based on YouTube owner Google’s design language, Material Design, there are some subtle but welcome changes to the video streaming service’s UI. There’s more white space, a lighter and smaller search bar, the blue video title links are now black, and the sidebar menu, which can now be hidden from view using the hamburger menu, is less cluttered. The preview is open to everyone but it may close once a certain number of users opt-in, allowing the team to better monitor feedback. The redesign will happen automatically for about 1 percent of people, with increased rollouts every few weeks. You can go to YouTube.com/new to try the new design.